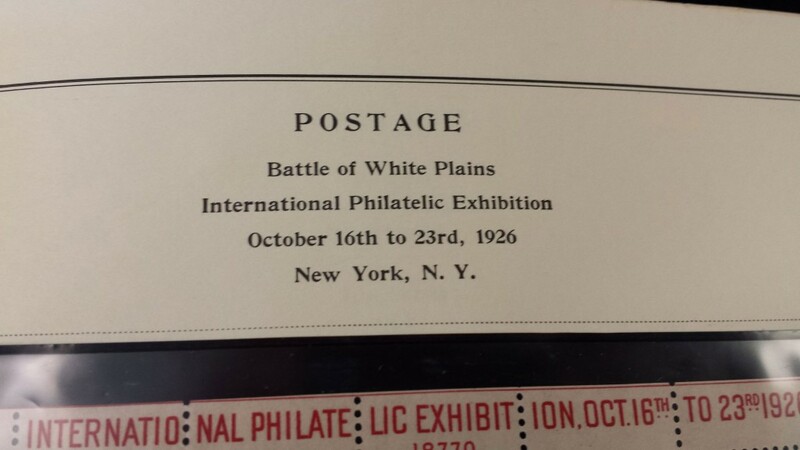 The White Plains sheet was issued for sale at the International Philatelic Exhibition held in New York from October 16-23, 1926. 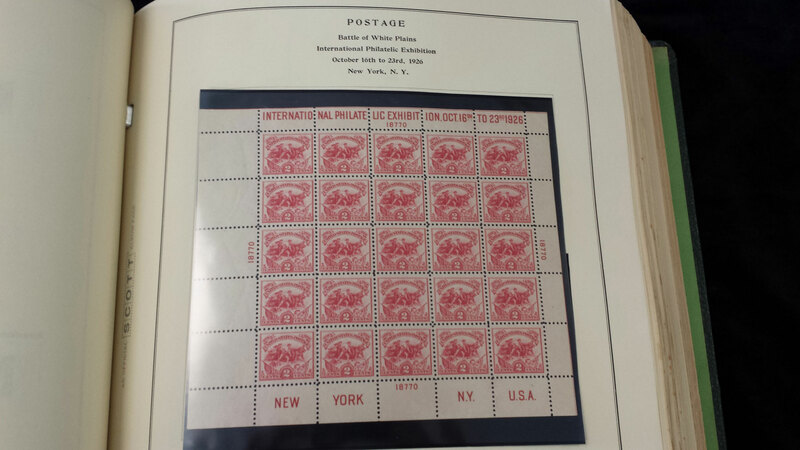 An inscription in the margin read, “INTERNATIONAL PHILATELIC EXHIBITION, OCT. 16-23, 1926, N.Y., U.S.A.” The sheet contained 25 of the 2¢ stamps issued to commemorate the 150th anniversary of the Battle of White Plains. 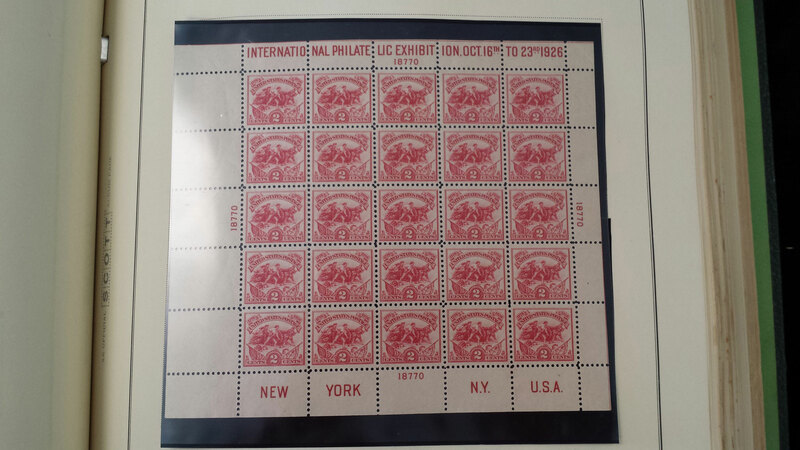 Only 107,398 White Plains sheets were printed to commemorate the International Philatelic Exhibition in 1926 – about half of 1% the normal quantity for 1920s commemoratives. 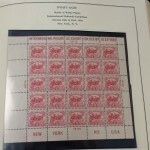 In the years since, many sheets have been broken up, further reducing the supply. 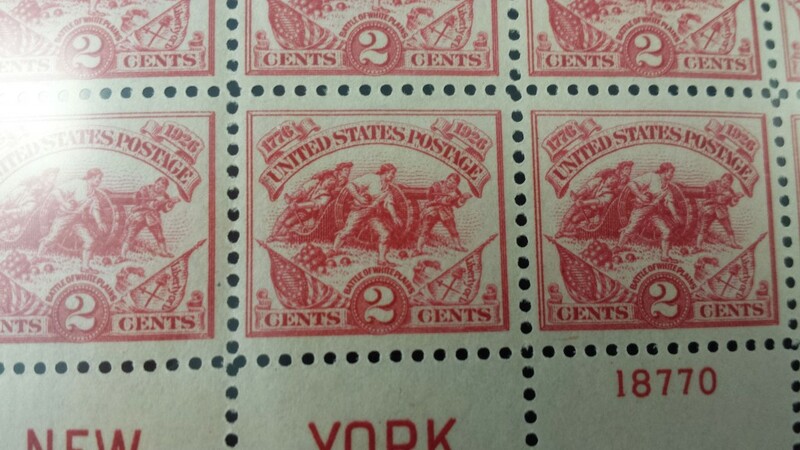 This sheet can only become more difficult to buy as the years pass.